Trust us with finishing your quilts! 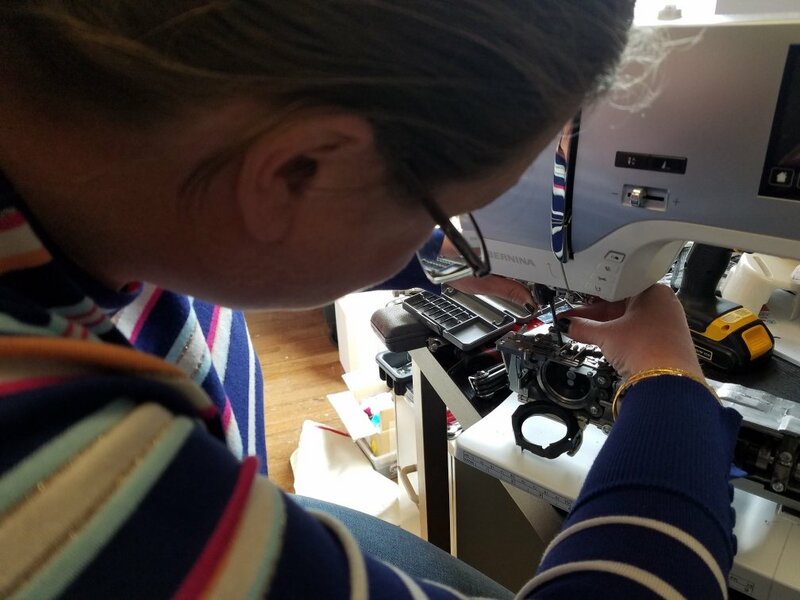 Sew Jersey Store offers long-arm, edge-to-edge quilting services. Chose the quilting design to compliment your quilt top, and we’ll professionally machine quilt it for you! 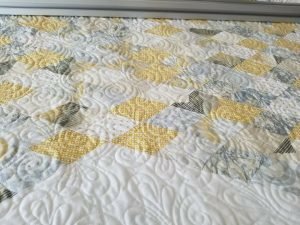 What is edge-to- edge (E2E) quilting? Edge-to- edge designs use one color of thread and run continuously, from one edge to the other, over the entire body of the quilt, regardless of blocks, seams, or piecing designs. The designs are digital patterns which are computer guided and can be sized to achieve the desired level of quilting density and scale. 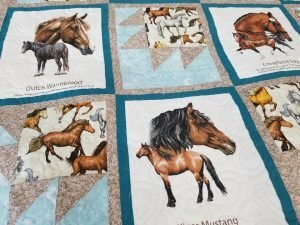 Edge-to-edge quilting offers beautiful all-over quilting, wonderful texture on the surface of the quilt, and is available in numerous designs, including vines, flowers, feathers, and geometric shapes. Tell me more! What does it cost? Our BERNINA long-arm quilting machine can accommodate quilt tops ranging in size up to 100” maximum width, with no restrictions on length. Edge-to- Edge quilting prices are based on square inches of $.02 to $.03 per square inch, depending on the density of the stitched design. To determine the square inches of your quilt top, multiply the length x width. (For example, if your quilt top is 90” x 100”, the total square inches is 9000 inches x $.02 = $180.) There is a minimum charge of $40.00. Thread is included in the per inch calculation, so the only additional cost is the batting. We offer both 100% cotton and 80 cotton/20 polyester batting and will give you opportunity to make your selection at your consultation. 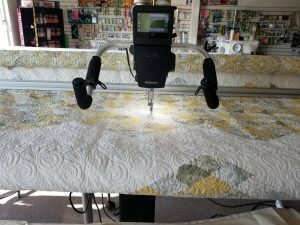 Simply bring in your quilt top and one of our Long Arm Specialists will help you make your design and thread selection or complete the Request Form or call (973) 585-7282 (leave a message), and we will reply to set up a meeting time. .